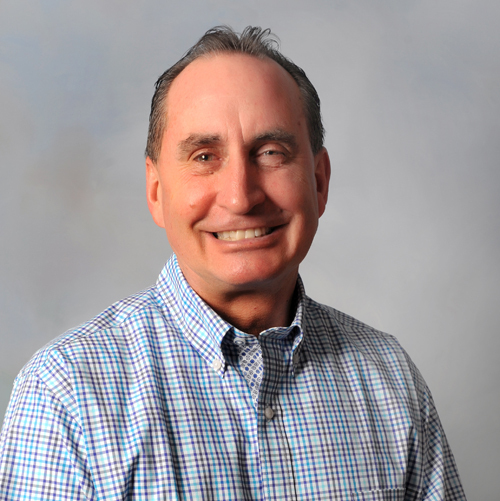 Tony DeBello has joined the growing roster of experienced REALTORS at Molisse Realty Group’s office in Weymouth. A Weymouth resident, DeBello is also a well-known chef by trade who has worked and lived in the North and South shores of Massachusetts. He has extensive knowledge of Boston and the surrounding communities. Tony DeBello can be reached for all your real estate needs at 781-308-5727 or email him directly at tdebello@molisserealty.net. 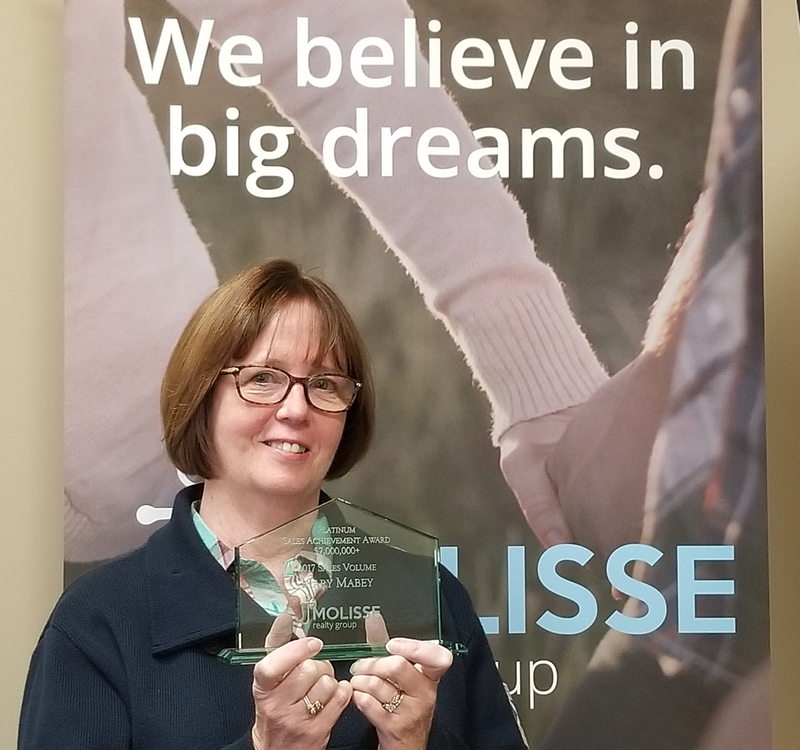 Driven to help our clients maximize their investments and realize their long-term goals, Molisse Realty Group helps both those buying and selling homes, to fulfill their dream of a real estate investment. The only independent brokerage with offices spanning both the north and south shores of Massachusetts, Molisse's boutique-size firm enables us to be truly flexible, molding our offerings to meet the unique needs of every customer while maintaining the resources and network necessary to ensure premiere access to the best homes and targeted buyers. For more information, visit www.molisserealty.com. Jim Brown has joined the growing roster of experienced Realtors® at Molisse Realty Group’s downtown office in Manchester-by-the-Sea. Born in Manchester and now residing in Essex, MA, Brown is a well-known local resident whose commitment to the local community goes beyond his extensive real estate knowledge. 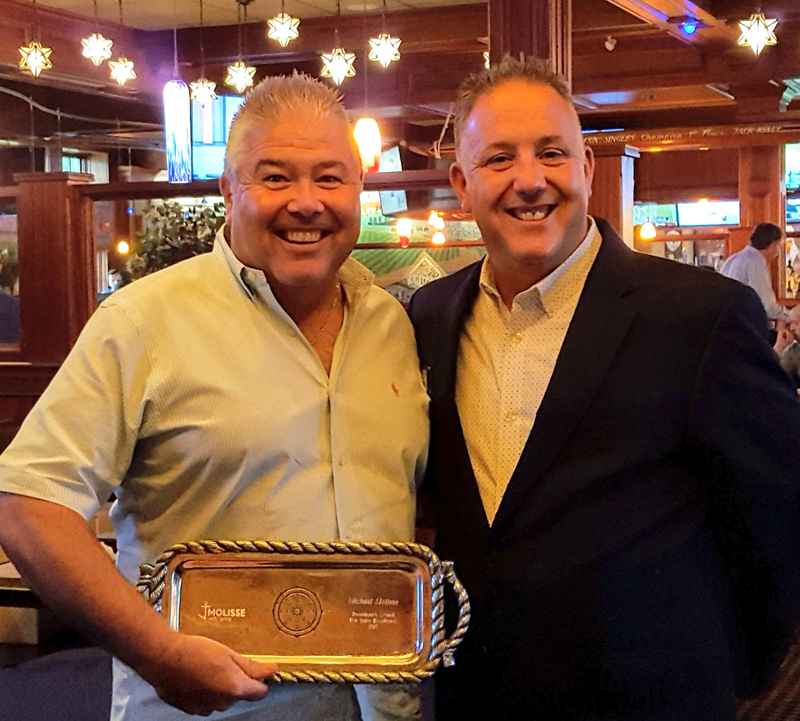 In addition to being a long-time member of The Manchester Club and Cape Ann Sportsman’s Club, Jim is a “Town Monitor” for the North Shore Association of Realtors (NSAR) and an active Freemason serving the Manchester Lodge. He has also served as a volunteer member of the Manchester Zoning Board of Appeals. 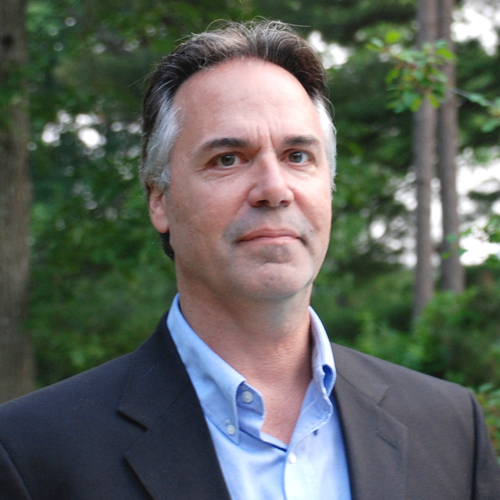 Beyond his Massachusetts Real Estate license, Jim holds a degree in engineering, an MBA from Bentley University, and is a graduate of the Northern Essex Community College Home Inspection program. He is also a Notary Public. Jim Brown can be reached at 978-810-1332 or at jbrown@molisserealty.net. It was 10 years ago, in the Spring of 2008: the country was enveloped in a financial crisis, widely considered by economists to have been the worst financial crisis since the Great Depression of the 1930s. The situation in the subprime mortgage market had reached full-blown, international crisis mode. Lehman Brothers collapsed. The government had begun bailing out financial institutions to avoid the collapse of the world financial system. The housing market was abysmal. And Brian Molisse decided to start a one-man real estate brokerage on Boston's South Shore. After 10 years of working as the Director of Facilities for the May institute overseeing 160 group homes across Massachusetts, it was time for a change. It is the quintessential Hollywood-style script: the little guy wanting a change, walking away from the stability of a day job and taking a shot. This script started with a relatively common-sense idea, a simple logo, hand-sketched on a paper napkin and a lot of passion and hard work. That was, and continues to be, the Molisse Realty Group secret recipe. "I wanted to start a full-service real estate office that was dedicated to the principles of honesty, integrity, and hard work," Molisse says sitting at a modest desk in his Manchester-by-the-Sea office, his newest office location. "We have never been about flashiness. We have been about doing the right thing for our clients, being creative and then later, I wanted focus on doing the right things for the agents who put their trust in working for me." Our reputation is everything to me. Molisse knew that starting a real estate brokerage in the middle of the financial crisis was risky, and he knew there would be doubters, but he saw opportunity in the midst of all of it. Today, as Brian Molisse approaches the 10 year anniversary of opening that very first office, he thinks the best is yet to come. 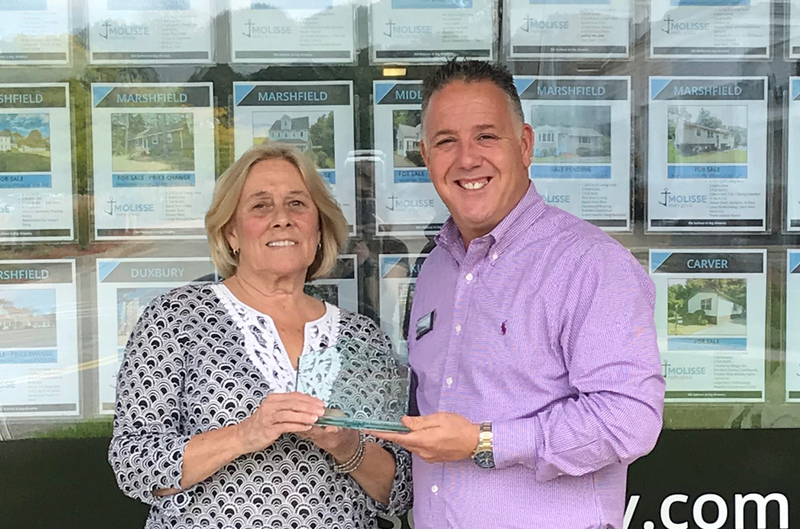 Now with over 75 agents and 4 coastal, office locations in Marshfield, Scituate, Weymouth and Manchester-by-the-Sea, Molisse Realty Group is growing and evolving its business model to better address the changing needs of buyers and sellers. 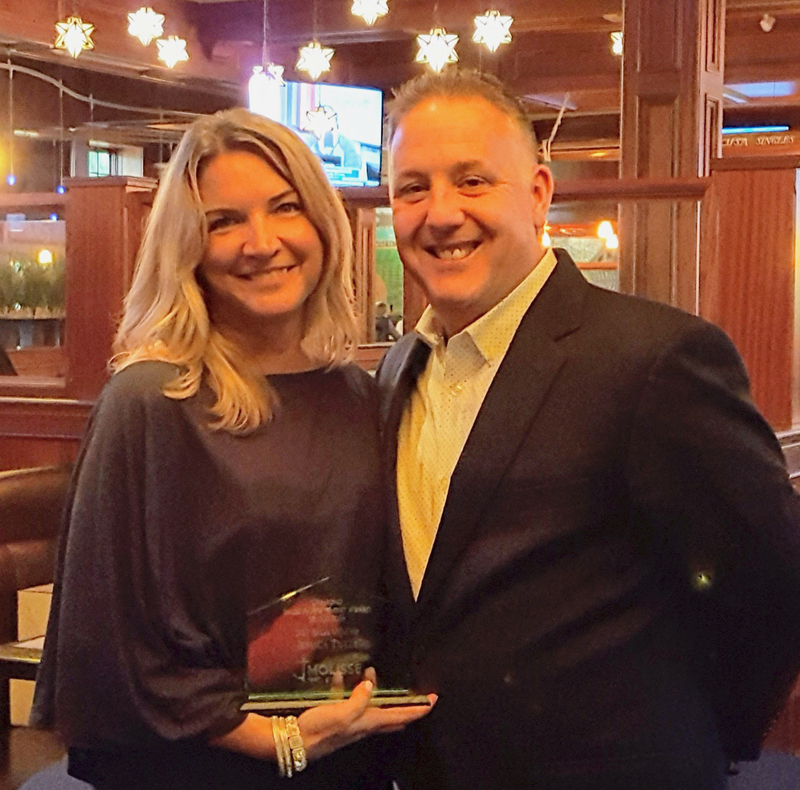 To assist in developing the evolution of the brand, Molisse enlisted the services of local brand strategist and marketer, Chris Langathianos, who is also a Molisse Realty Group client. “Before we started the creative elements of the brand refresh, we spent 3 months doing industry research, speaking with Molisse clients and agents, analyzing our own market research and holding group brainstorming workshops. There is a reason for everything we did,” Langathianos said. The most noticeable change to people will be the new logo. The Molisse Realty Group logo was updated to more accurately reflect the essence of the brand. 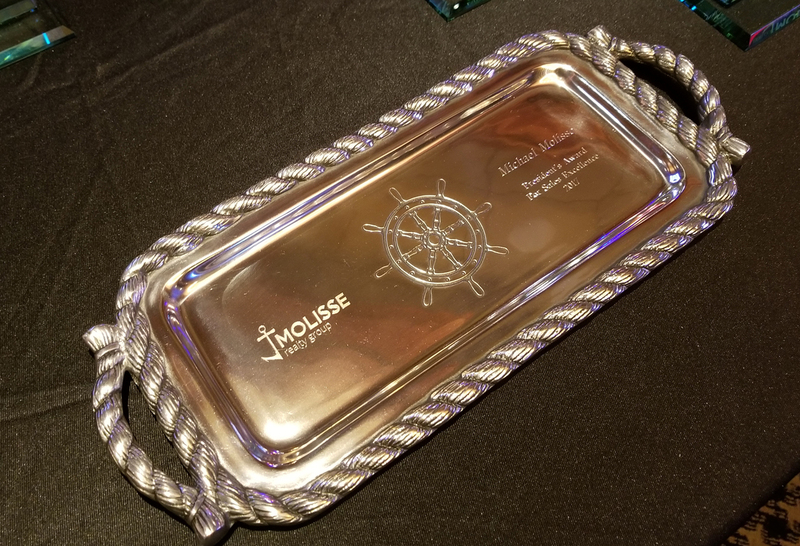 Molisse also hopes that people will start to see some of the brand’s new campaign messaging that gets back to the core of the brand objective – fulfilling dreams. Walter Hall, a Norwell resident and author with decades of real estate experience, recently led an orientation session for Molisse Realty Group real estate professionals focused on “The Power of Partnering,” which included the use of his latest book, All Things REAL ESTATE, in their real estate relationships. The session served as the first effort of the recently established pilot program exclusively arranged between Hall and Brian Molisse, founder and owner of the four-location Molisse Realty Group, and was held at the Marshfield location of Molisse Realty Group. This program is designed in part to provide advanced training of real estate agents in the practice of their profession. 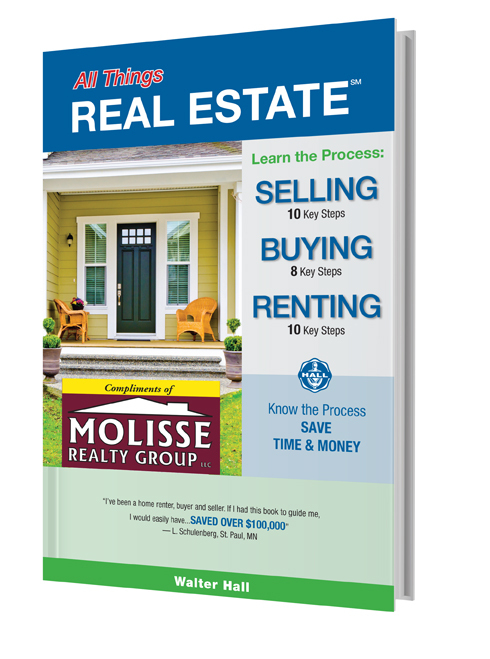 Molisse Realty Group will use the book as part of The Power of Partnering program to educate the buying and selling public. With a normal retail value of $9.50, All Things REAL ESTATE will be made available free to current and potential buyers and sellers, compliments of Molisse Realty Group. Hall discussed how the Power of Partnering Program involves four interrelated components: agents, sellers, buyers, and the playbook (All Things REAL ESTATE). 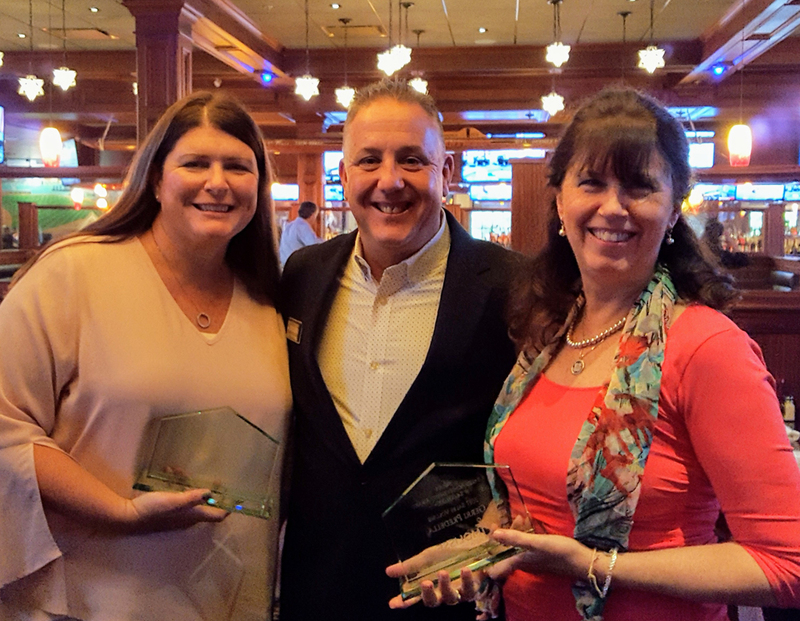 The genesis of The Power of Partnering started with Hall’s first effort and lessons learned as a real estate professional while leading Walter Hall Realtors, which became one of the largest real estate companies in New England at the time. “In real estate, our essential product is service,” said Hall. “Most Realtors focus on trying to achieve service satisfaction, by meeting their clients’ expectations. But outstanding firms go above service satisfaction, striving to achieve ‘service delight’ by exceeding clients’ service and cost expectations. This is the future of the leading Realtors in the country, including Molisse Realty Group,” Hall added. “We’re offering this book to anyone interested in learning more about buying or selling a home,” said Molisse. “In real estate, knowledge is power, and this easy-to-read guide that explains real estate in a straight forward manner offers our clients a great way to better understand the process, develop realistic expectations, and allows people to navigate the real estate process to a successful outcome. Additionally, we’re happy to show people how we’re different than our competitors, and giving people this book with our compliments is one way to demonstrate our different approach in a way that’s extremely helpful to anyone looking to buy or sell a home." All Things REAL ESTATE is available through the Molisse Realty Group offices in Marshfield, Scituate, Weymouth, and Manchester-by-the-Sea, as well as through its website, www.MolisseRealty.com/book-request , or by calling 781-837-5600. 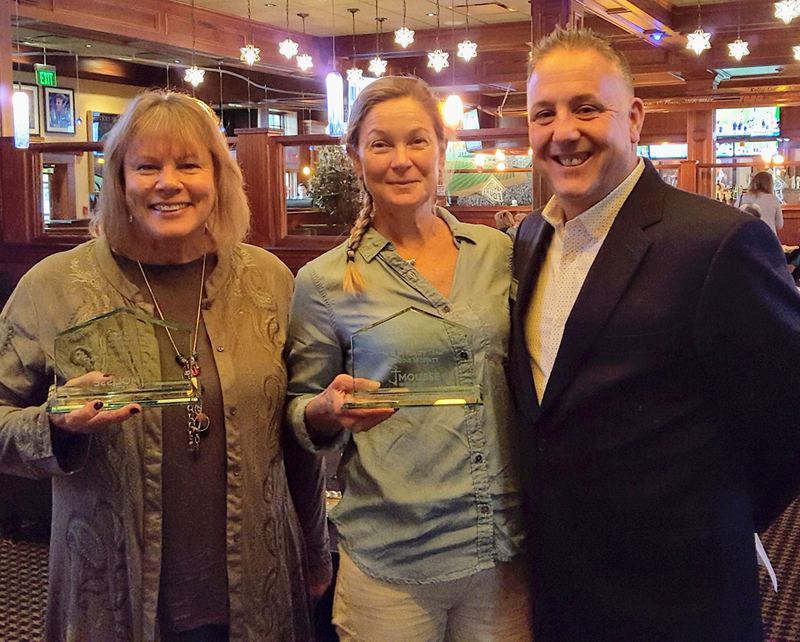 A working relationship between two veteran real estate professionals signals a first important step in changing the way real estate is practiced here in Massachusetts. 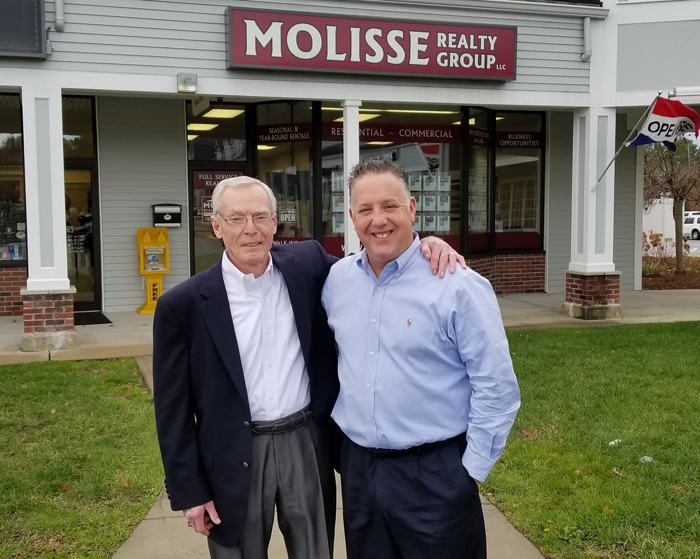 Walter Hall, a Norwell resident and author with decades of real estate experience, today announced the release of the 4th edition of his book, All Things REAL ESTATE, as well as an exclusive arrangement with Brian Molisse, founder and owner of the four-location Molisse Realty Group. Hall and Molisse have created a pilot program designed to provide advanced training of real estate agents in the practice of their profession, as well as providing home buyers and sellers with the information they need to make the best possible sale or purchase decisions. Molisse Realty Group will use the book as a means of helping educate the buying and selling public. 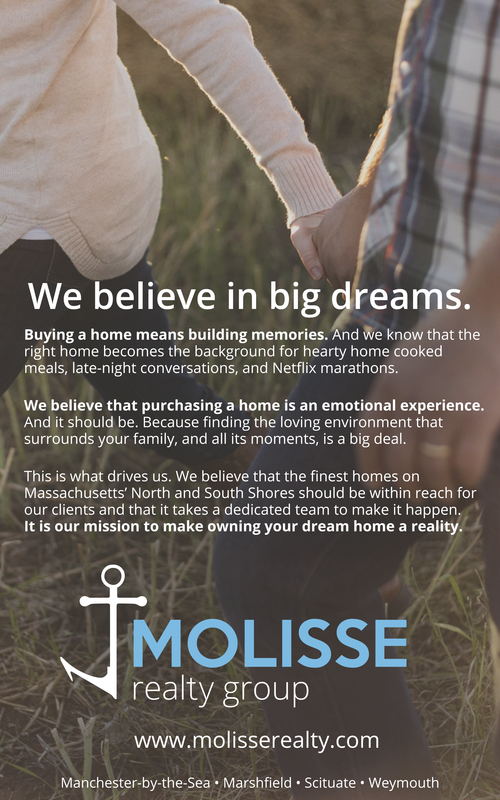 With a normal retail value of $9.95, All Things REAL ESTATE will be made available free to home buyers and sellers, compliments of the Molisse Realty Group. Molisse said, “I feel so strongly about the value of this book that my agents and I want to share it with anyone who may one day become a home buyer, or home seller.” The book will be available through the Molisse Realty Group offices in Marshfield, Scituate, Weymouth, and Manchester-by-the-Sea, as well as through its web site www.MolisseRealty.com. He added, “This means that, without the proper knowledge, home buyers and sellers are making decisions in the dark, relying on others. We have adopted All Things REAL ESTATE as the basis of our professional practices, because it describes in non-technical language the key steps in the selling, buying and renting process. Molisse Realty Group agents will provide a complimentary copy of the book to each prospective buyer and seller. In addition, for a limited time, anyone wishing to order a copy can do so by calling 781-837-5600, or visiting www.MolisseRealty.com/book-request. 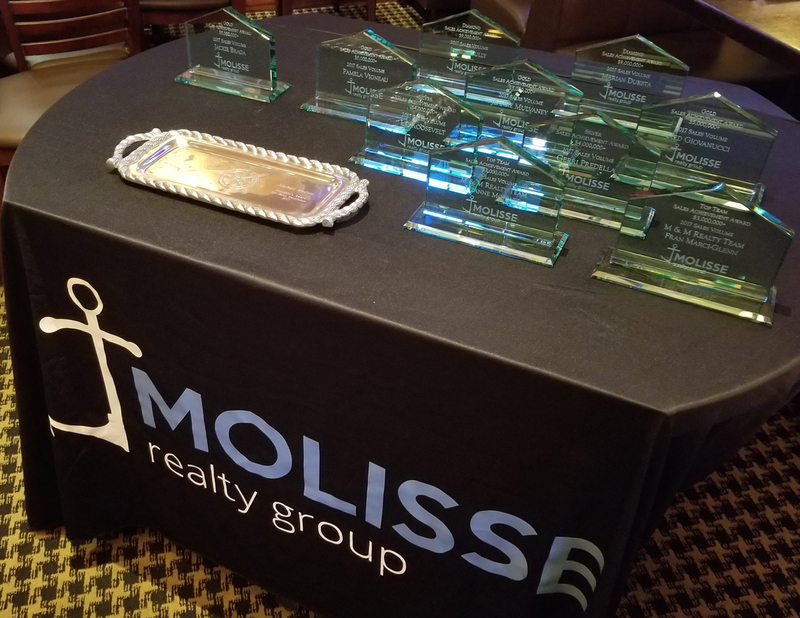 Hall will meet with Molisse Realty Group agents on November 16 to conduct an orientation session on how to best use All Things REAL ESTATE in their real estate relationships. Walter Hall is a Norwell, MA, resident, a veteran of the United States military, and a graduate of the University of New Hampshire. Upon graduation, he went on to build three successful businesses from scratch. The first, Walter Hall Realtors, became one of the largest real estate companies in New England. From this original company, he developed The Hall Institute of Real Estate which provided advanced real estate training to the most prominent real estate firms in the nation, as well as for many state Realtor Associations. He also developed Relocation Resources International, which grew into one of the largest employee relocation firms in the nation which, on an annual basis, handled the sale, purchase, mortgage financing and rental of the homes of more than 10,000 relocating employees throughout the United States and around the world. He is the author of five books on real estate and professional practices, and is a sought after speaker and consultant. He has been featured and quoted in media outlets including Boston’s Channel 4, The Boston Business Journal, Banker & Tradesman, the Patriot Ledger, and the Mariner/WickedLocal weeklies. Molisse Realty Group is pleased to announce the launch of their brand new Website! After months of hard work, Molisse Realty Group is delighted to officially announce the launch of their new website, designed with a fresh new look and user-friendly navigation. You can search the new site at www.MolisseRealty.com. 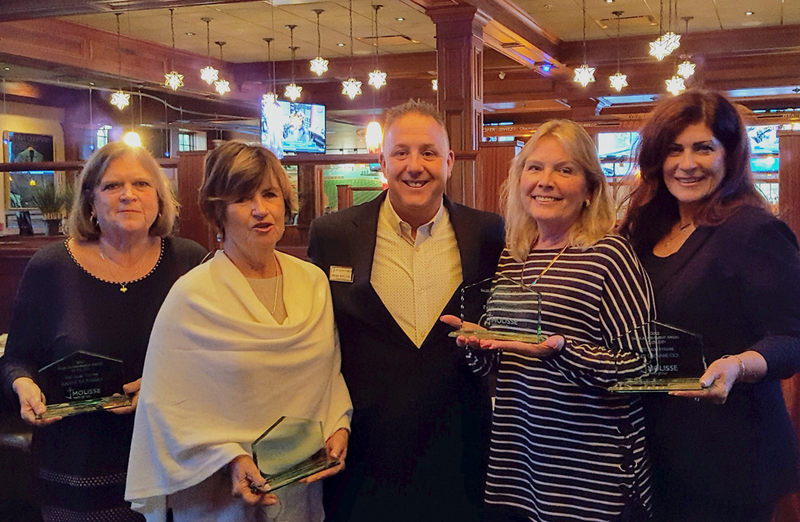 Molisse Realty Group recognized the importance of mobile responsive websites and integrated IDX search. Users expect a seamless experience online, no matter what the device. Their goal with this new website is to provide visitors an easier way to learn about Molisse Realty’s services, how you can easily contact a real estate agent, and learn about the real estate market. The new site offers powerful search tools, it is interactive and gives better access to conduct MLS and Map searches. There will be constant updating with content with helpful real estate information, blogs, company announcements and client successes in the agents testimonials section. Molisse Realty Group has a total of four offices, with over 85 agents. We have South Shore offices located in Marshfield, Scituate and Weymouth. We are also located in Manchester-by-the-Sea on the North Shore. When you work with the agents of Molisse Realty Group, you get a team of individuals who will do all they can to assist you with selling and buying your home. Honesty, integrity and hard work are the keys to Molisse Realty’s success! For more information about Molisse Realty Group, please visit our new website www.MolisseRealty.com. The yard and home exterior are the first thing a buyer sees when they arrive. It's not that hard to spruce up an autumn yard and take all the advantages you can of warm colors and rich foliage. The leaves are starting to fall and we've had a few storms knocking branches down. Start raking! Don't let overgrown vegetation block the windows or path to the entrance. 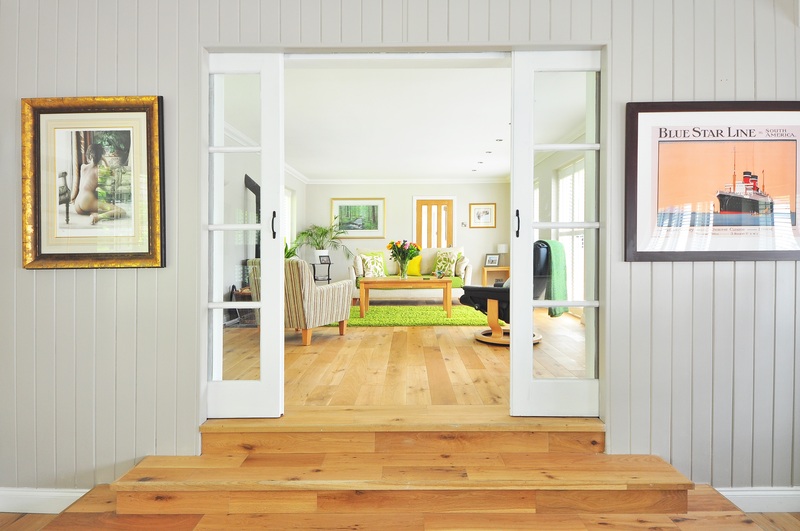 Cutting bushes and tree limbs will let the sun inside and showcase the exterior of your home. Cut away summer vines and cut down dead flowers. Make the most of the autumn weather in the fall real estate market. 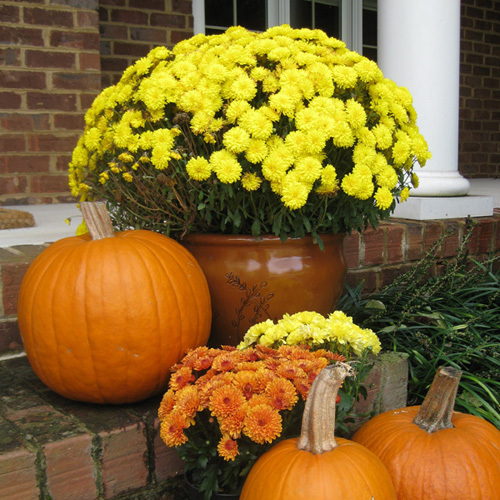 The most popular autumn flowers are mums, and they bloom for a long time. Mums are available in yellow, red, orange, white and purple. Yellow is the number one home selling color. You may love the idea of blood and guts and skeletons rising from your yard and ghosts hanging from your trees, but will buyers be amused or afraid? 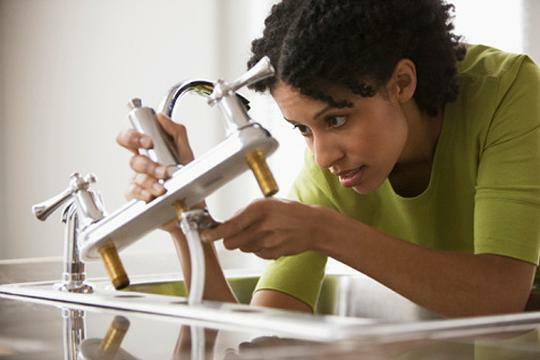 Anything that has the potential to turn them off is a no-no when listing your house. Sticking to safe decor choices will help you appeal to the masses. Make sure the house number is clearly painted on the curb and mailbox, see if it's time for an upgrade. Update the walkway with fresh stones or gravel to ensure the path to the front door is clear. Also check the garage door and arrange to refurbish, repair, repaint, or replace if you have to. Even if the whole house doesn't need an exterior paint job, touching up the trim, shutters, and front door can make a massive difference in how the home is perceived from the road or yard.